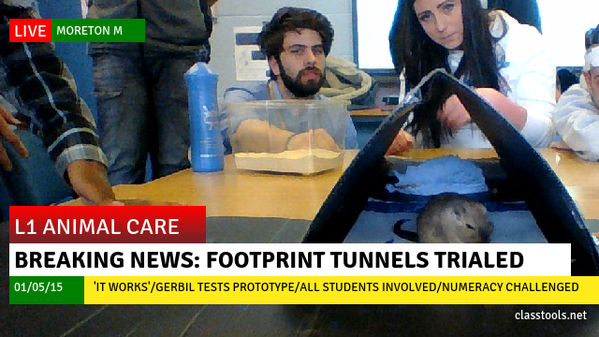 In order to get students thinking about the essence of a topic, ask them to produce a “Breaking News!” screenshot using the ClassTools Breaking News Generator. Students will have to reflect on the key location (top left), the title of the news channel, the headline, the ticker with related news and the most appropriate image. The completed designs can be downloaded and printed off to form an attractive display. You can also send them directly to your Twitter newsfeed! 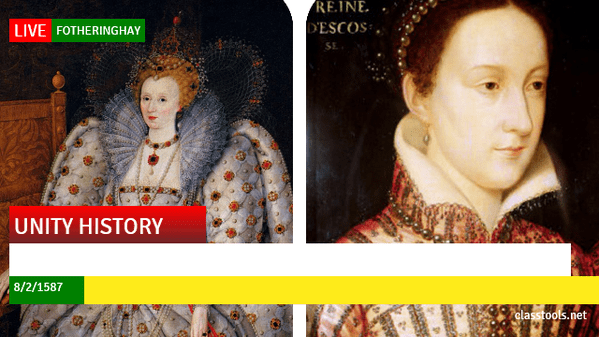 Produce a timeline of events (e.g. from a historical event, or a novel being studied in literature) and then divide it between different students so they can produce one screenshot each. The finished results can be displayed as a timeline in class. Encourage students to adopt a biased editorial tone. 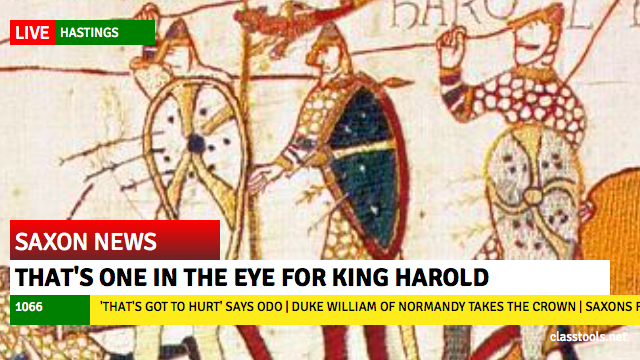 For example, a newsflash on the Battle of Hastings could be produced from both a French (“Norman News!”) and an English (“Anglo-Saxon Herald!”) perspective.